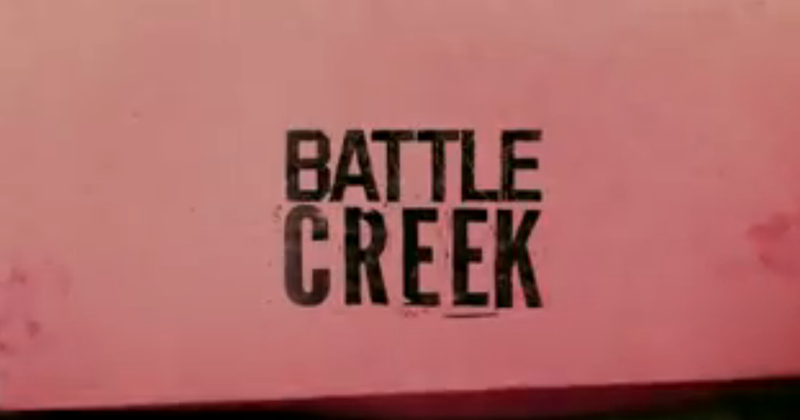 By now, everyone should know that “Battle Creek” premiered Sunday night on CBS. It was not filmed in the real Battle Creek but there are lots of aspects that look familiar. 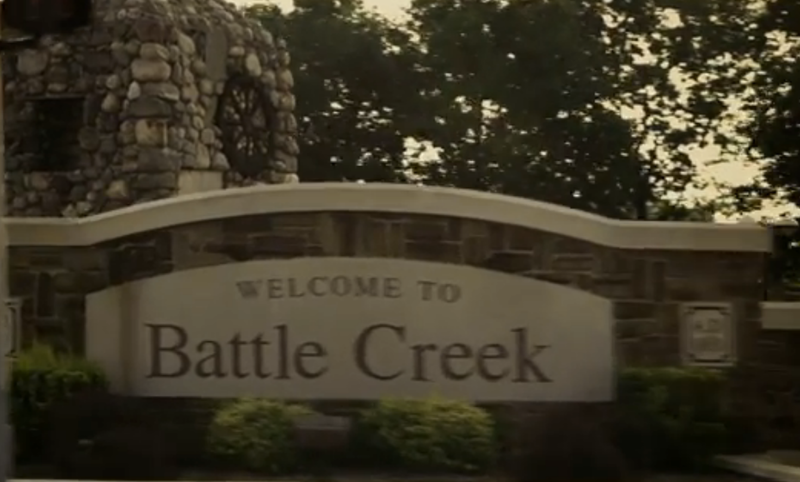 The opening credits to street signs and many other details I spotted while watching are from the real Battle Creek. Every week, I plan to blog about the current episode. I will look at what is in the show and what it is like in the real Battle Creek, MI. So here is what I spotted in Episode 1. Throughout the opening credits, we see many recognizable landmarks from our town. Right away we see the Battle Creek sign that you see coming off the highway going onto M-66. 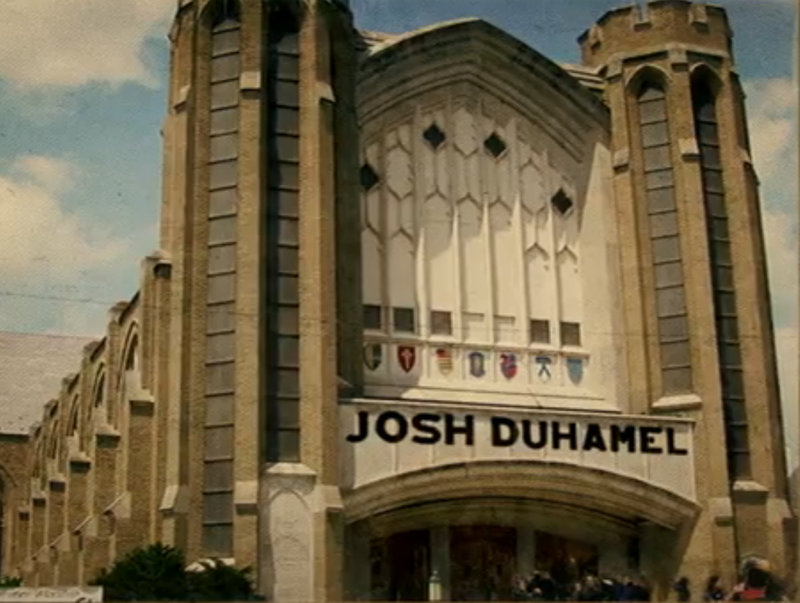 We also see the First Presbyterian Church, which is now named Josh Duhamel. They also pan to a Battle Creek Bomber’s game at C.O. Brown Stadium. C.O. Brown Stadium has hosted many teams over the years . It is a Battle Creek staple out at Bailey Park. 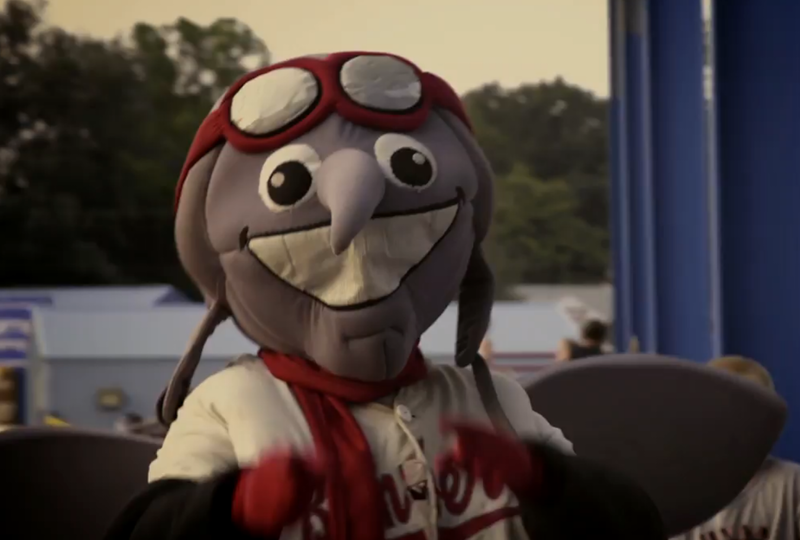 The team’s mascot, Mo Skeeter, made his national debut. I also noticed the old cars, which looks like they were from Cruise the Gut. You can just see the Pennfield Pizza logo on their red truck right as another car passes it. In the police station office you can see many items that were taken from here. I have seen people on social media pointing these out too. 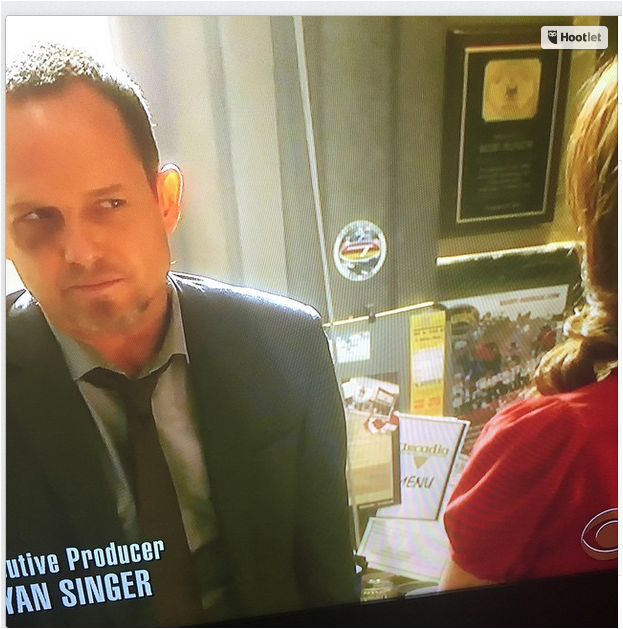 There is a shot with Russ Agnew, played by Dean Winters, leaning up against a desk. In that one shot alone we see a lot of the real Battle Creek! There is a Team Active sticker, a menu from Arcadia, a menu from the Griffin Grill & Pub, and even a Founde rs sticker from Grand Rapids. 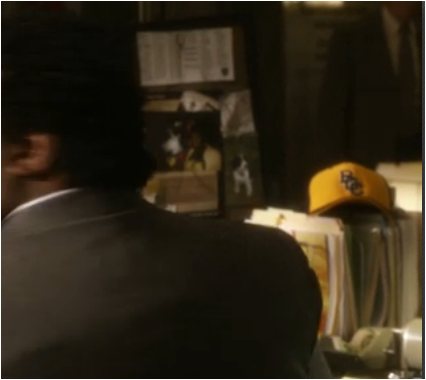 There is also a scene where we see a Battle Creek Central hat on a desk. One more that I noticed was a brochure that we hand out. It’s a Calhoun County Parks Brochure that our office created. You may not notice it but we do since we see it every day! At the end of the opening credits there is a pink donut box that the show logo is written on. I could not help but notice those boxes look a lot like Sweet Kreations’s boxes. Now Sweet Kreations is not a donut shop but is a bakery. They create delicious cupcakes, cookies, brownies a nd many other yummy baked goods. It makes you wonder if that is a nod to this downtown Battle Creek bakery. The donuts look a lot like the ones that Sweetwater’s Donuts make. Well that is it for Episode 1! Check back next week after Episode 2 has aired.